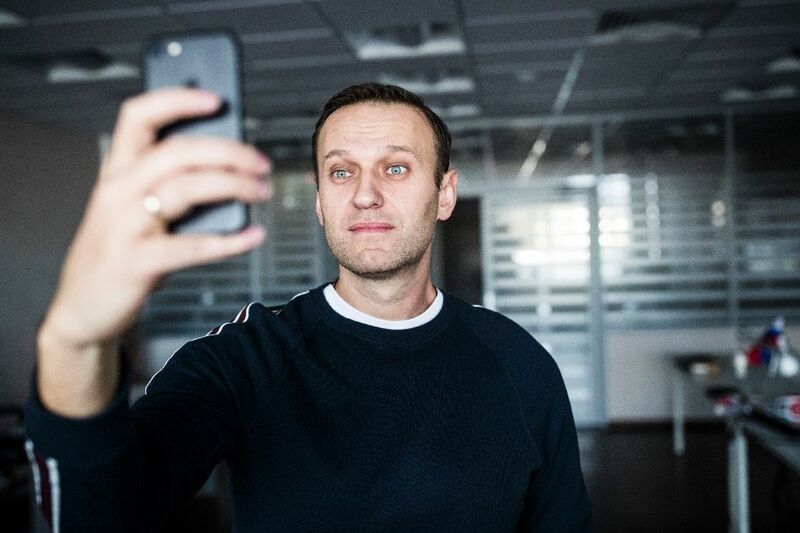 Photograph released by "This Is Navalny Project" on October 22, 2017 claims to show Russian opposition leader Alexei Navalny shortly after being released in Moscow. Moscow - Russian opposition leader Alexei Navalny said Sunday he had been released from the Moscow detention centre where he had served a 20-day term for organising protests against President Vladimir Putin. "Hi. I'm out," Navalny wrote on Instagram, posting a picture of himself on a street. His release was arranged by police to evade crowds of journalists waiting outside the detention centre. Navalny, who has declared his intention to stand for president in 2018, said he was "ready to work" and was heading to a rally in the evening in the southern city of Astrakhan. The event has permission from the authorities. He wrote jokingly that while in jail he had read 20 books, learnt a few words of the Kyrgyz language and drunk 80 litres (20 gallons) of tea. A photographer who works with Navalny to cover his campaign posted a picture of him working at the headquarters of his anti-corruption foundation. Earlier Sunday, supporters of Navalny hung a banner from a bridge close to the Kremlin reading: "It's time to get rid of Putin and time to elect Navalny." The charismatic 41-year-old lawyer informally launched a presidential bid in December last year and has since opened campaign offices and held rallies countrywide to consolidate supporters. This year he has served sentences of 15, 25 and 20 days for organising unauthorised anti-Putin protests. Russian opposition leader Alexei Navalny said Sunday he had been released from the Moscow detention centre where he had served a 20-day term for organising protests against President Vladimir Putin. "Hi. I'm out," Navalny wrote on Instagram, posting a picture of himself on a street. His release was arranged by police to evade crowds of journalists waiting outside the detention centre.